This Japanese inspired oval Ofuro comes complete with everything you will need to make the most out of your Northern Lights Cedar Tub. Includes a Camp Fire stainless steel wood fired stove for quick heat up times. 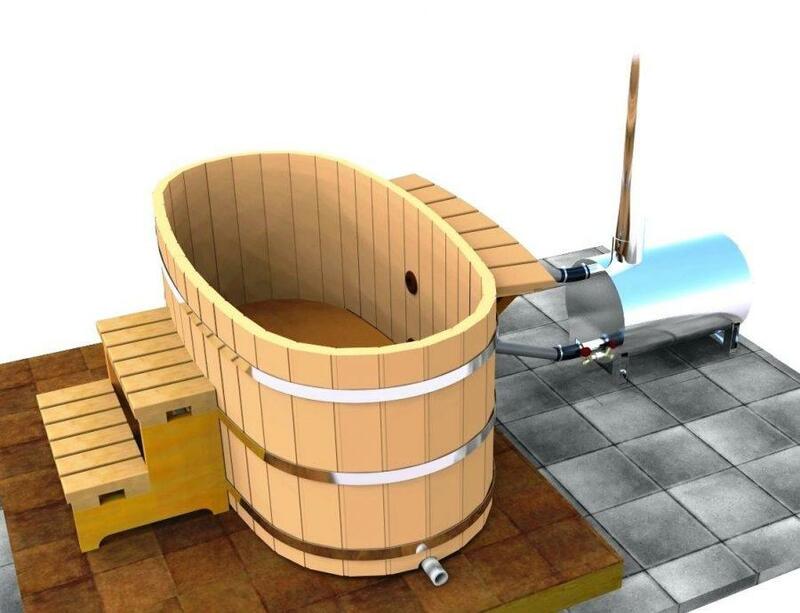 The 100% clear western red cedar hot tub includes 3 stainless steel straps that guarantee there will be not rust stains on the wood. The hot tub is approx. 150 gallons and with the Camp Fire stove can be heated approx. 25 degrees F per hour. Also includes is 1 sets of cedar shelves, custom cedar stairs and rust covered insulated cover with safety child locks.